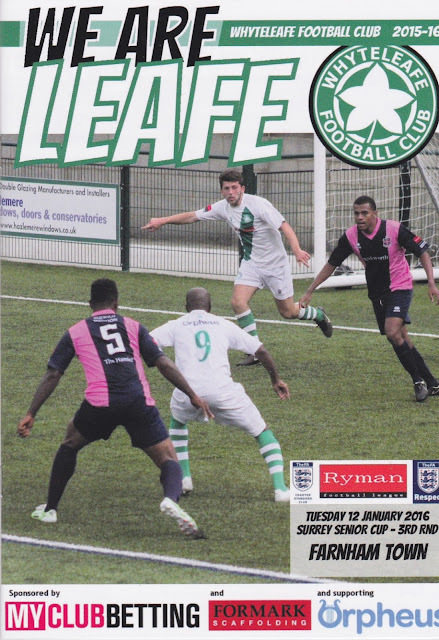 WHYTELEAFE FC was formed in 1946 after the end of World War 2. 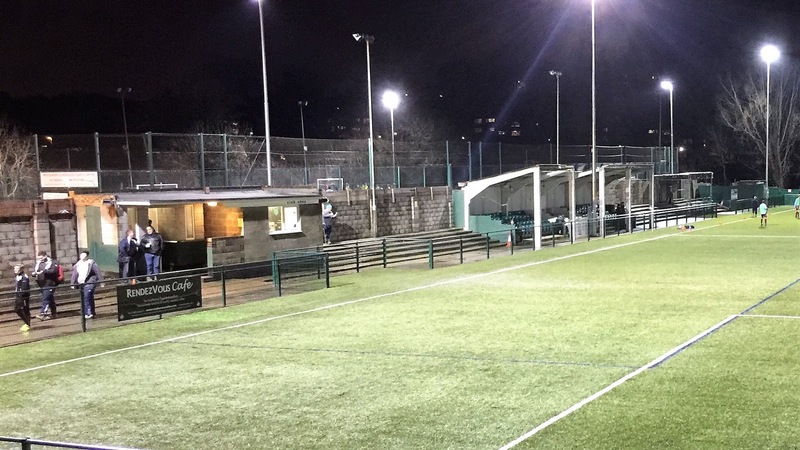 There had previously been a club called Whyteleafe Albion in the town prior to the war. 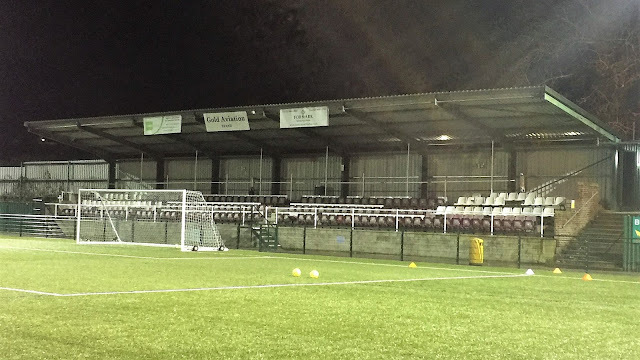 For the early part of their history, they played in various local leagues including the Surrey Senior League, the London Spartan League and latterly the Athenian League prior to joining the Isthmian League in 1984. Initially starting in Division 2 they were promoted to Division 1 after finishing runners up to Dorking in 1988. They stayed at Division 1 level for some time, with a best-ever finish of 5th coming in 2003. By 2012 however, they finished bottom of Isthmian D1 South and joined the Kent League. 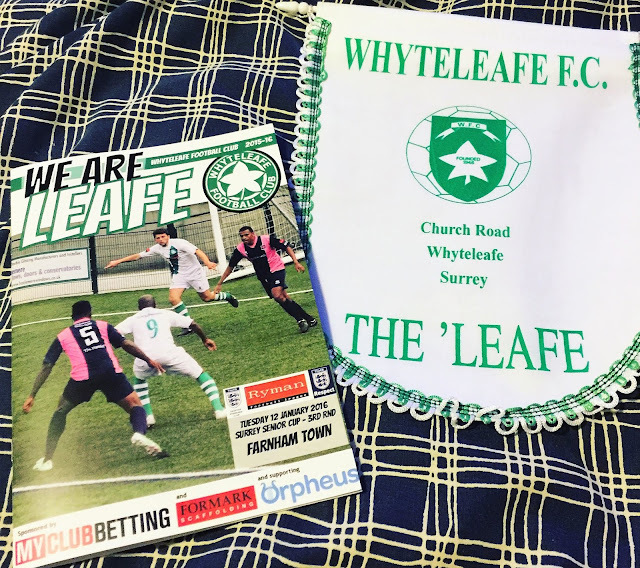 After a 6th placed finish in their first season, the league was rebranded the Southern Counties East league and Whyteleafe to their newly named surroundings with aplomb, becoming champions and returning to the Isthmian D1 South. They break did them well and last season they finished in 5th place in their first season back. The current season saw them sitting a few places below in 9th prior to tonight's game. The club had a couple of great seasons in the FA Cup towards the end of the last century. 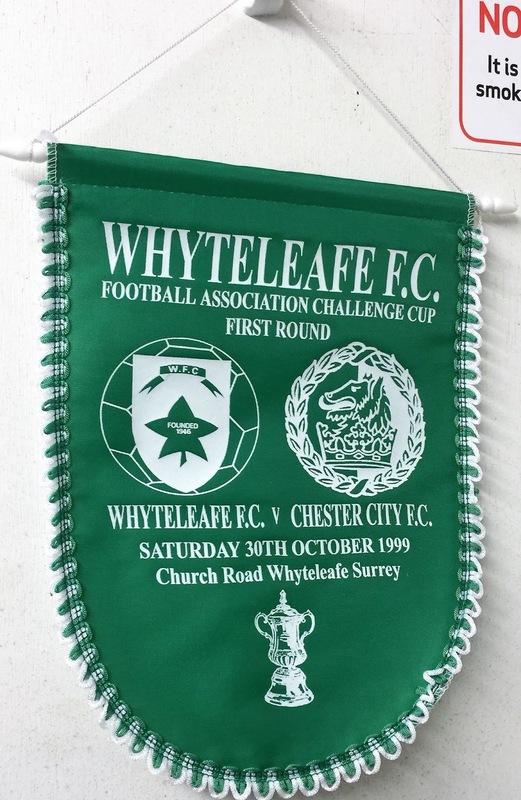 Firstly in the 98/99 season, they reached the 4th Qualifying Round before losing to Conference club Welling United. 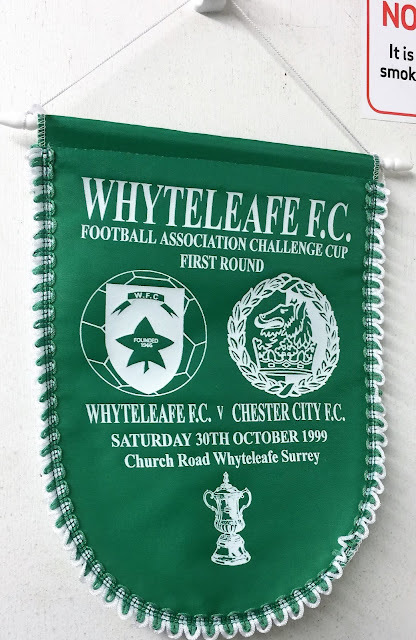 The following season they went one better and after beating Lancing, Croydon, Thame United, Langney Sports and Bognor Regis Town they took Football League side Chester City to a replay before bowing out 3-1 up in Cheshire. 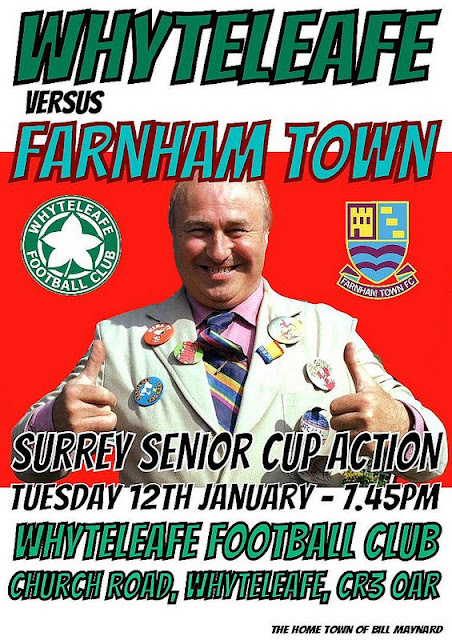 In 1999 the FA Trophy 4th Round was reached before a 3-0 home defeat to Kingstonian. In the FA Vase, the 5th Round has also been reached on a couple of occasions, most recently in 1986 where they lost out to Stevenage Borough. Whyteleafe's most famous former player is undoubtedly the current Crystal Palace manager Alan Pardew, whilst the small town/village is served by 3 train stations despite having a population of fewer than 4000 people at the last count. For this midweek hop, I would be without Anwar again - he'd dusted down his big book of excuses and chosen 'feeling under the weather' as his reason for not coming on a groundhop tonight. It might have been a blessing in disguise though as the weather was sure to decimate the 30 or so choices that we had open to us. My intended target was Whyteleafe, a ground that I had wanted to visit for some while and had pencilled in for a pre-season friendly against Fulham a few years ago before it was cancelled due to the pitch not being ready. With my fellow hopper having already been there twice and the 3G pitch offering assurances that it would not be postponed, it seemed a great choice for the night. That said, a bodged installation had led to a game in August 2014 being postponed due to waterlogging, but that had been remedied shortly after. On the day of the game, I’d enjoyed my usual decent Monday nights sleep. It’s the only day I usually get some decent shut-eye in, as I’m usually working the next morning or indulging in having a good time the night before. I must have got about 10 hours sleep and so woke up feeling nice and refreshed. After a bath and breakfast, I walked down the town and got my haircut as well as buying a few things that I needed to pick up. The haircut was long overdue but the hairdresser I use has a lovely dog called Chester. When her kids are off though they look after him at home and so I’d purposely delayed my trim until I was sure they would be back at school. 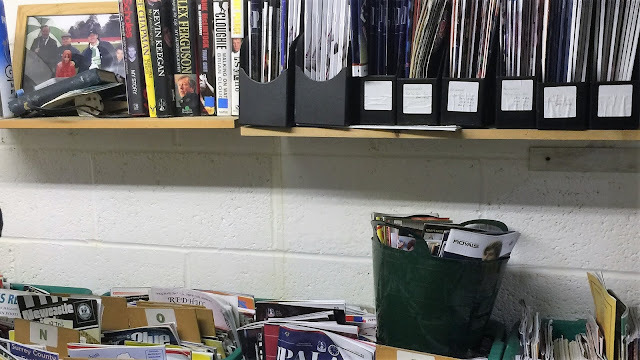 After coming back home I spent the afternoon researching this blog and trying to plan next Saturday’s game and other future fixtures that I would be attending. I knew that sometime next week I’d be attending Aston Villa v Wycombe Wanderers but the day remained a mystery thanks to the TV companies dawdling in announcing what replays would be televised. This meant that there were 6 days (or less) for Aston Villa to print the tickets, send them, Wycombe to sell them, and in some cases ship them out. With a flaky postal service and a 2 day weekend, that would be easier said than done. With regards to my Saturday game, I was hoping for something in the FA Vase. 2 long-running sagas would hopefully be resolved, with 2 ties on their 5th or 6th scheduled date after several postponements. 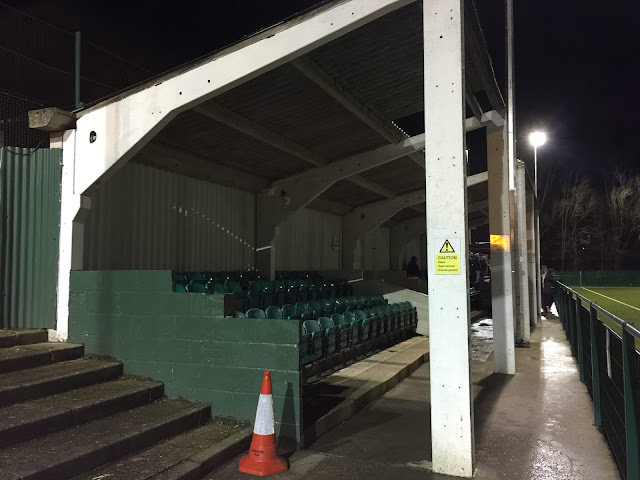 Newton Aycliffe v Atherton Collieries was finally being played after being moved to Durham City’s old 3G pitch, whilst Welton Rovers v Bodmin Town finally got the go-ahead, with the hosts pitch finally in a fit state to play the game. Back to tonight, the weather had been doing it’s best to disrupt the nights' action and I was glad that my choice of game was relatively assured to be taking place. I had a dinner of Chicken Rogan Josh before leaving at 5.40. For once the M25 played ball with a minimal 5-10 minute delay in getting to the ground. I arrived at 6.55 and after getting some pictures of the outside and in the bar I paid £9 to get in, plus a programme for £2. After catching up with Dulwich fan Mishi I went round the ground taking pictures before going into the club shop and getting a pennant for £2. The rest of the time until kick off was spent catching up on Facebook. 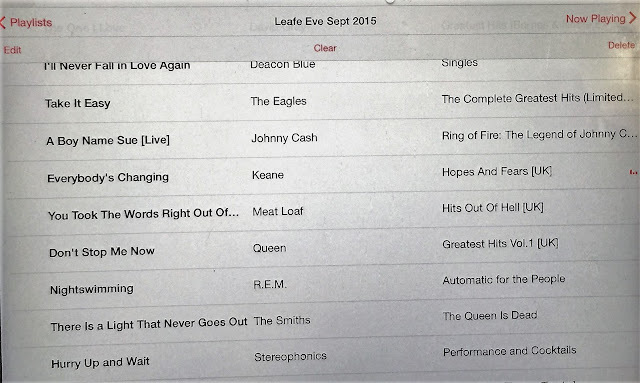 Whyteleafe started the favourites to win and this showed in the opening passage of play. The game was only a couple of minutes old when they opened the scoring with a great free kick from Sam Clayton that curled into the top left-hand corner. Not even 10 minutes into the game the lead was doubled when the ball was headed past the keeper by Ike-Robinson Feehi. The half continued in the same vein with the Combined Counties League side restricted to chances on the break though they did force a great save out of the keeper 5 minutes before half time. It was all to no avail - right on half time Whyteleafe made it 3-0 with a low drilled shot into the bottom left-hand corner by Tommy Smith. There had been some good tunes on the tannoy pre-match and they excelled themselves at half time by putting on some David Bowie as a tribute to the musician who sadly died earlier this week. 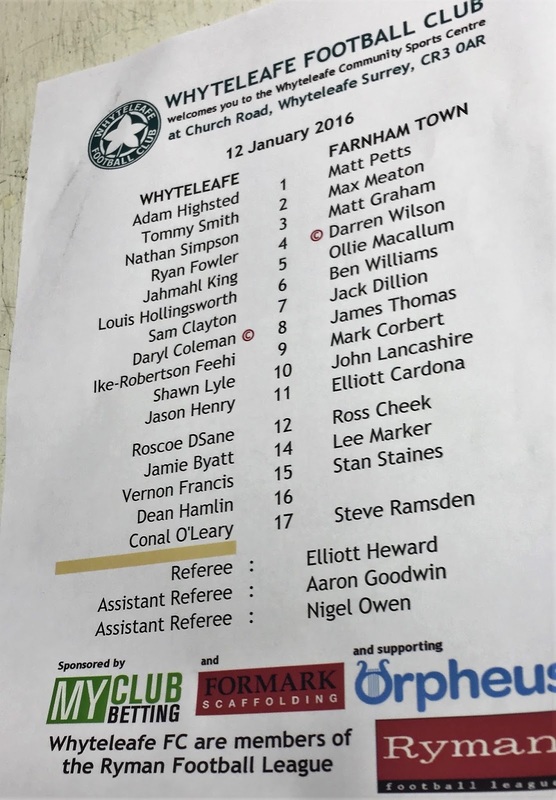 The second half continued with Whyteleafe well on top, though the chances were not quite as regular. Even so they made it 4-0 just after 70 minutes with a goal that flew into the top corner with Tommy Smith getting his brace. Former Aldershot man Roscoe D'Sane made it 5-0 soon after with a well-placed shot into the bottom corner. Jamie Byatt made it 6-0 with a cracking shot in the top corner. It had been a good nights action, even if it had been quite one-sided. It was freezing though and I was glad to get back to the car and whack the heaters on full blast. I was soon warmed up and on my way home. On the journey, I learned of the results in the Premiership where Aston Villa finally won a game as they beat Crystal Palace 1-0. Newcastle United and Manchester United played out a 3-3 draw while my favourite result came in the league below as MK Dons were humped 5-0 at home by Bromley. In the FA Vase, I was disappointed to see that Atherton Colleries had lost 1-0 at Newton Aycliffe but pleased that Bowers & Pitsea had beaten Broxbourne Borough as they now become my first choice for my next Groundhop on Saturday. I arrived home at 10.35 and caught up on all the results I had missed. After watching TV for a bit I went to sleep just after midnight. 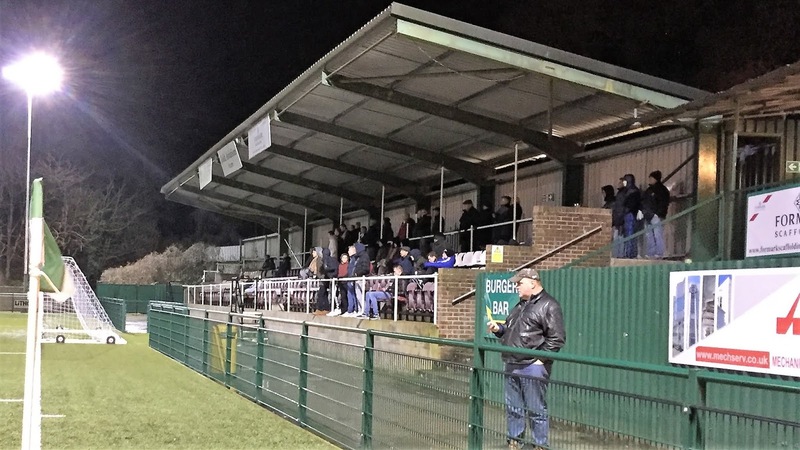 CHURCH ROAD is a traditional non-league ground that has remained the same for a while, apart from the addition of a 3G pitch. There is cover on all 4 sides, albeit in small areas. The biggest of these is behind the goal where there are around 200 seats on a stand that is elevated above pitch level. This end also houses the dressing rooms and the tea bar. As you look to the left there is a smaller seated area for around 100 and this also has some steps of terracing alongside it. This side also houses the turnstiles and club shop. The far end has a small area of covered flat standing as does the remaining side. The rest is open with an overall capacity of 3000. Though I didn't get anything from the tea bar or clubhouse, they both looked to have a good range. 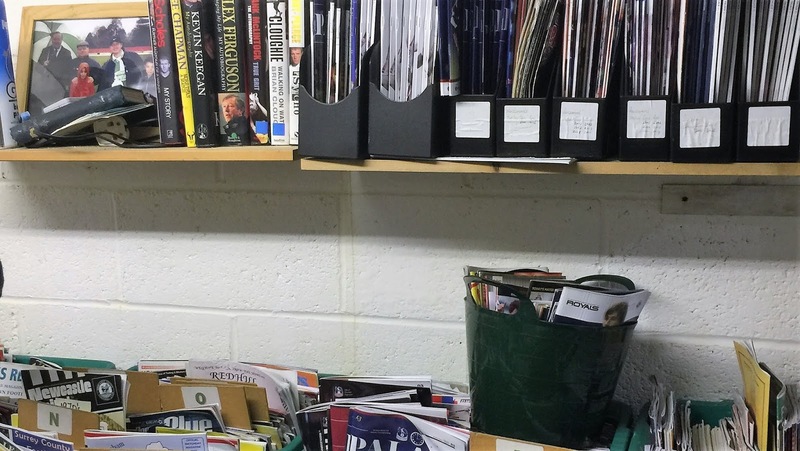 The club shop had a decent range of merchandise as well as old books and programmes with everything at reasonable prices. The programme was a good effort too, with all the facts you need and a few interesting articles. The town and a choice of 3 train stations are a short walk away, with quite a few takeaways and restaurants, but not many pubs from what I could see.